Beneath its gore-spattered exterior, Carmageddon II was a strikingly innovative game for its time. From a technical perspective, while Grand Theft Auto was still running over pedestrians from a 2D top-down viewpoint, Carmageddon was doing the same in full 3D with an integrated physics engine and a highly detailed damage model. 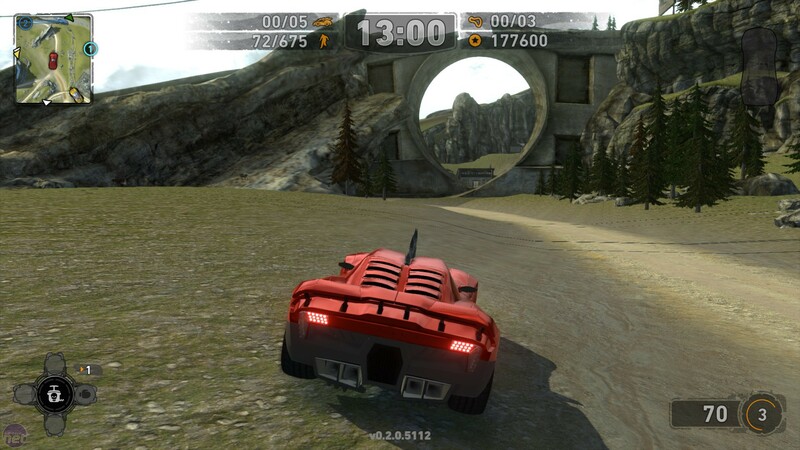 More importantly, its offering of open-world emergent racing was completely unique, throwing together a host of clever AI and driving systems and letting you choose how to play with the results. Pretty darned impressive when you consider it was released in 1998. Two years and one dismal sequel later, the series disappeared almost completely. But now it is back in the form of Carmageddon: Reincarnation, with an impressively successful Kickstarter under its belt and a robust Early Access build available for players to purchase. We honked our horn at Neil "Nobby" Barnden, Co-founder of Stainless games and repulsificated him with questions to find out how the game is shaping up. Carmageddon has been sat in the virtual scrapheap for almost fifteen years. Why bring it back now? Neil: We’re bringing Carmageddon back because we can! We have a huge affection for and still love playing the original games, and it’s always remained a game with a strong community of fans and modders, even after all these years. And we can’t see any reason why the new game shouldn’t go down a storm with the contemporary gaming community too. 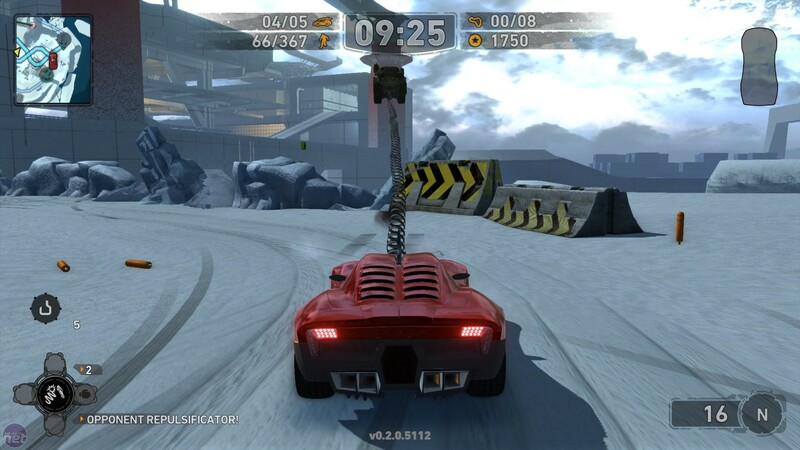 Stainless has fought long and hard to retrieve the Carmageddon rights. How did you ultimately negotiate them back, and what makes you so keen to return to Carmageddon specifically rather than, say, work on something new? Neil: There was nothing particularly difficult about the process of negotiating the rights back, it just took a loooong time. Once Square Enix had absorbed SCi/Eidos, we guessed that it might be the case that they wouldn’t feel that the Carmageddon brand was a “fit” for them, and so we broached the subject via a contact at Square. Negotiations took around three years, but in the end it worked out great for both parties. 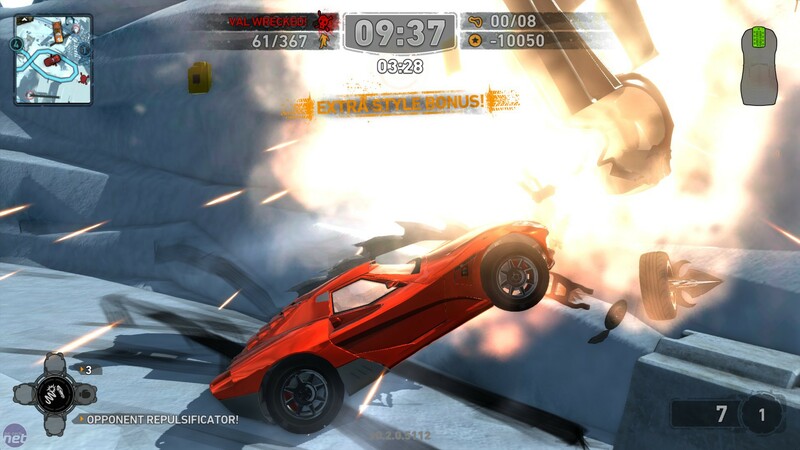 Carmageddon is the driving game that Patrick (Buckland, Stainless co-founder) and I always wanted to play, and still do – and the value is in the gameplay associated with the IP. The name “Carmageddon” really sums up the spirit of the gameplay better than any other title we could come up with, and so it was worth us spending the time and money negotiating these rights back, rather than developing a new IP. It means we continue to develop an IP that has a heritage, a lineage, and a reputation that precedes it. All this is inherently valuable. The last Carmageddon game, TDR 2000 (which Stainless wasn't involved with) rather tarnished the reputation of the series. Was this somewhat underwhelming send-off for the series a factor in your desire to make a new game? Neil: The more important factor was the success of the games in the series that we made, prior to its lacklustre final outing. We’d rather just forget about that other one (as most people have!) and concentrate on the positive history. Looking at Reincarnation, it's clear that it very closely resembles Carmageddon and its sequel, but what new features can players expect to see? How are you expanding upon the original framework? Neil: We made the decision to “reincarnate” elements of the original game because it was felt that A) it would be great to see an “HD” version of the original game’s content, as a comparison to the original’s relative crudity, and B) this approach would speed up the development process (as we planned to develop this game self-funded, on a bootstrapped model using available resources as much as possible). of new content also designed and being implemented. This includes new vehicles, including an all new class of cop and opponents. Also, because we’re expecting the game to be very heavily focused on multiplayer (something that was always the intention for the originals – which were great MP games, but which were limited to LAN play), we’re introducing new MP arenas and smaller scale MP levels, as well as remakes of large explorable levels based on the original game’s. As well as the all-new assets, we’ve got expansions planned for the gameplay too. In the first two games, the single player gameplay was identical from event to event, and saw the player able to finish every event by wasting all the opponents, or killing all the peds, or finishing all the laps. The AI couldn’t “win” – it relied on you to complete the event successfully in order to progress through the game. In the new game, we’re mixing the MP game types into the single player game, so that the player can choose the sort of event they want to play (even RACE, if they really want to!). 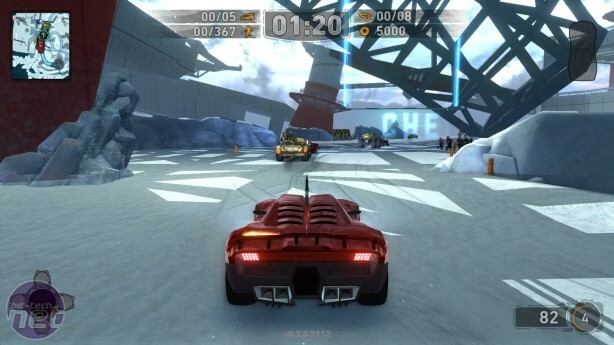 At the same time, they could still win an event using the other techniques – for instance, wrecking all the opponents during a Checkpoint Stampede – so that we retain the freedom to “play the way you want to play”. Finally, we’ll have Achievements, Challenges and Easter Eggs through the course of the game as an extra layer of gameplay texture.